Brutal Doom is a MOD the someone created for Doom 1 and 2 for the PC. This MOD adds a ton of new features to the games. Such as unique gun animations, updates textures to enemies, fire, and special effects. 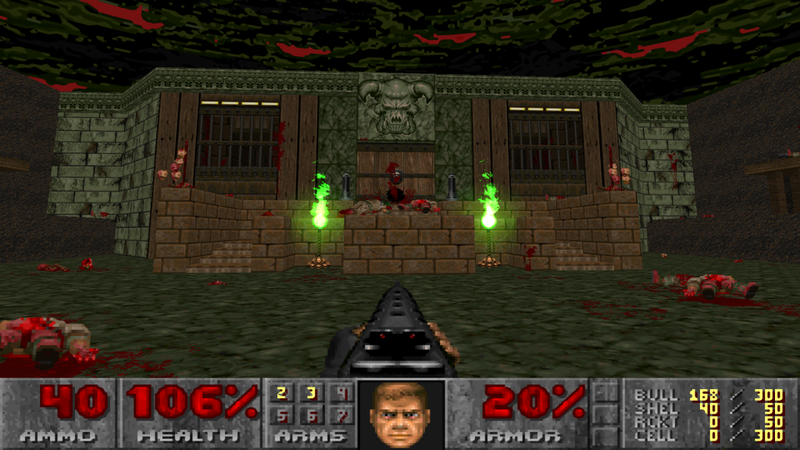 The game is unchanged from the original story but adds a more modern feel to Doom. You can zoom in with each gun as in scoping in, and each gun as a reload animation. The guns are updated as well. Each gone as a new texture to it and the pistol is now an assault rifle. Each gun has it's own unique animation and they all look incredible. Every monster in this MOD also has new some new animations to it. The gore is much more intense, hence the name. When you shoot and kill an enemy blood sprays everywhere and sticks to the walls and ceilings. The blood also drips off of the ceilings. The explosions looks really good as well and the glow from the barrels are great. Brutal Doom also adds a ton of new options and difficulty settings. There are 7 different difficulty settings each have a challenge of their own. There are also other options as well to make it feel like a more modern FPS game. 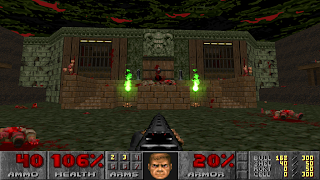 You can make it so you can look around and control the view with your mouse like in modern FPS game which is needed for Brutal Doom. You can even add a cross hair to your view to make it easier to aim. 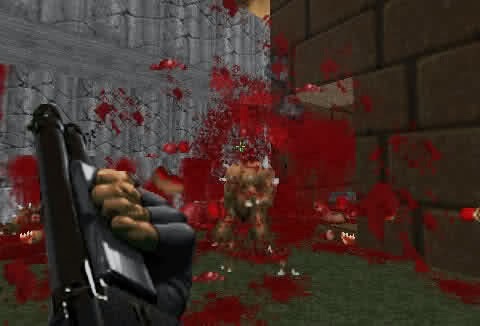 The features added to Brutal Doom is a great touch. I love running through the game with the shotgun and blasting them to bits. The shotgun animations are incredible and make you feel god like. This MOD does a fantastic job of keeping it "Doom" like. It does not change the story or gameplay. Just updates them. 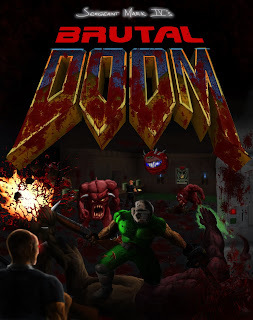 Fantastic MOD, I recommend it to all Doom fans. There is only one small minor problem with this MOD. When you reload your guns it does not tell you how much ammo is in the clip, only how much ammo you have left over after reloading your ammo clip and can get annoying at some parts. But it is a very minor thing and you get used to it right away. One other feature is executing. When you boot an enemy and go up to them with your fists you have a chance to perform an execution. These are brutal! The flame effects and the assault rifle. The MOD also offers an all new soundtrack. It is the same music from the Original Doom games but re done with a metal sound to it. It is truly incredible. You can also insult the enemies. From flipping them off your telling them to "F*ck off"! Want to stay up to date with my reviews? Don't forget I also live stream!